The Indoor Cycling Association is the premier online site for education, motivation and inspiration for indoor cycling instructors. 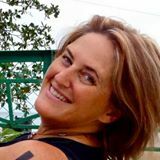 Founded by Jennifer Sage, with 15 years experience educating and inspiring instructors, ICA will take your teaching and coaching experience to the next level. Over 10,000 instructors trained, including orientations, continuing ed, master classes and conferences! No other online educational resource comes anywhere remotely close to that kind of impact on the training and education of indoor cycling instructors! Mental training expert Dr Haley Perlus adds her insight to this powerful combination of educators. To help with the music we have six instructors that are extremely passionate about their music and who are so excited to share it with you. You will notice that we have two Ph.Ds on the team, plus three former longtime Master Spinning® Instructors and two current Master Instructors, and almost every team member is an avid outdoor cyclist in addition to being a passionate indoor cycling coach! In addition to these contributors, we constantly seek out the best of the best to be guest contributors, from all areas of fitness and from as many indoor cycling programs as possible. I know you will not be disapointed with the quality of the content here on the Indoor Cycling Association.